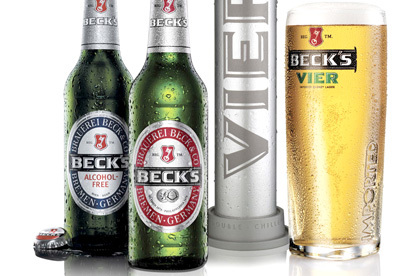 LONDON - Budweiser's sister brand Beck's is reviewing its £25 million global advertising business. The review is in the very early stages with initial meetings taking place next week. It is thought that pitches will take place in late August. Anheuser-Busch InBev has called the pitch because Lowe London, the incumbent on the account, has decided to resign the business. Tony Wright, the chairman of Lowe Worldwide, said: "It has been wonderful to work on a brand as special as Beck’s and we feel we have left our mark with some very successful global creative work. "We wish all our colleagues on the Beck’s brand the very best for their continued success." Frank Abenante, the global vice-president of brands for ABInBev, said: "Lowe was definitely a key partner in helping Beck’s achieve growth. "After a successful two-year partnership with Lowe we felt we are parting ways on great terms, at the right juncture." Lowe London picked up the global business in August 2007 in a pitch against a number of undisclosed agencies when the brewer decided to roll all of its regional accounts into its global ad business. The appointment saw Leo Burnett lose the account in the UK. It also saw Ground Zero, a New York-based agency, which was the incumbent on the global business, lose the account just 11 months after winning it.